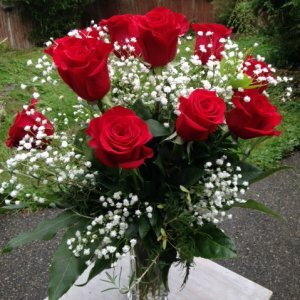 White Lilies, Roses and accent flowers with lush greenery. Pure white Lilies, Roses, Succulent plants and lush greenery make the perfect centerpiece or desktop arrangement. 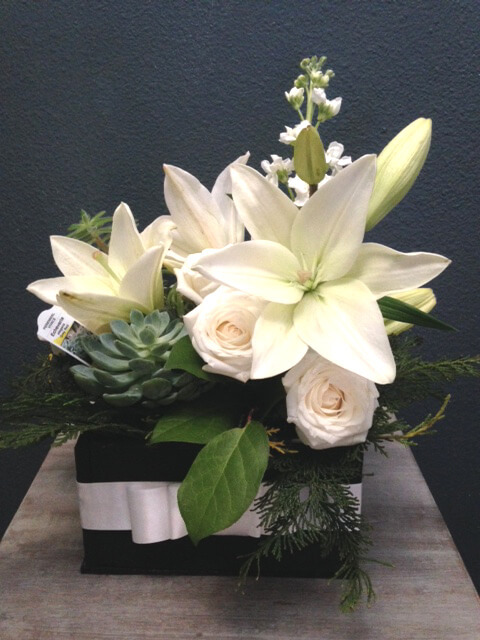 White Lilies, pure white Roses, with Succulent plants, accent flowers and lush greenery. 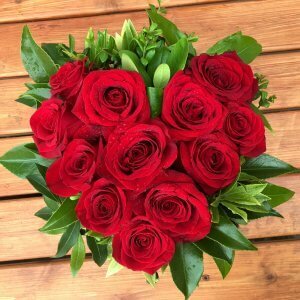 This long lasting flower arrangement works perfectly as a table centerpiece or desktop arrangement. Meaning & Symbolism of Lilies. … Symbolizing humility and devotion.